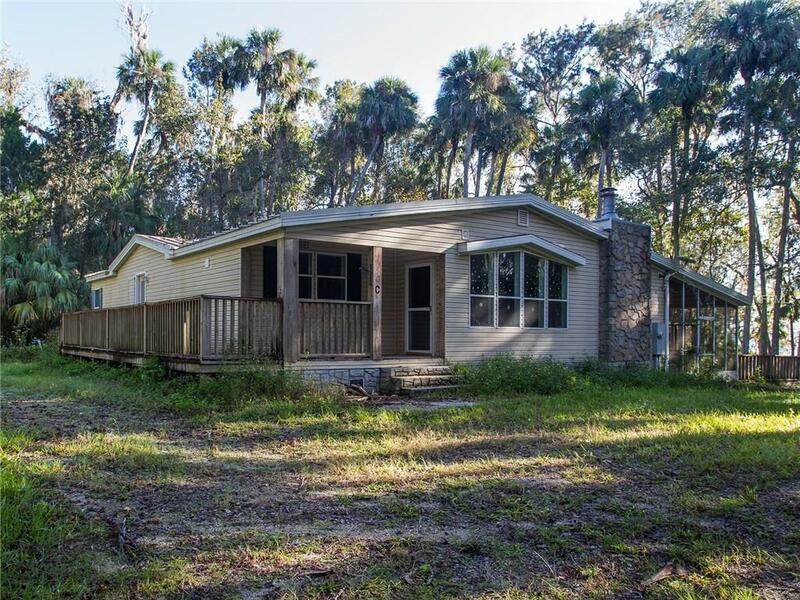 Home Sweet Home with the country feel with easy access to I-95, State Road 44 and I-4.Seller is very motivated to sell and has dramatically dropped the price again by 50k and says "Make me an offer" . 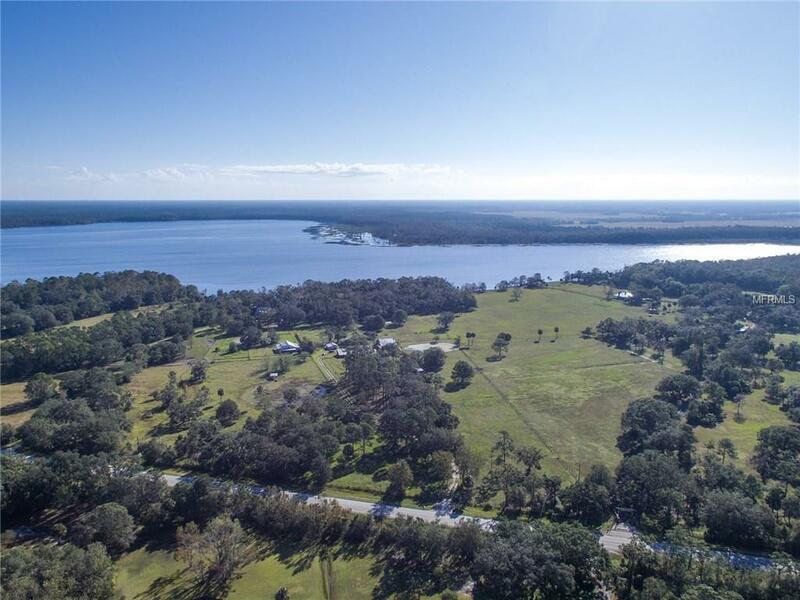 This is an unusual opportunity to own 15.5 Acres with approximately 188 sg footage on Lake Ashby. 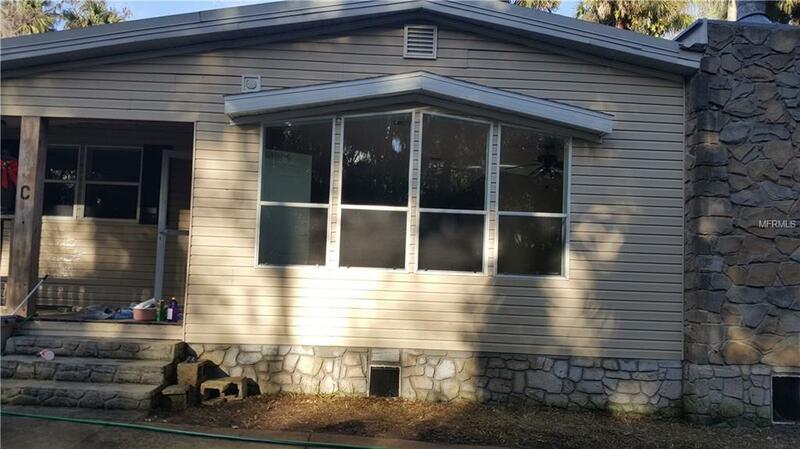 The property has 4 electrical meters as well as a move in ready, split 3 bed 2 bath manufactured home that has a laundry room, fire place, stainless steel kitchen appliances. The kitchen is open to the family room of which has beautiful lake views. There are 4 other existing structures on the property including a pole barn, larges covered garage and a bunk house. 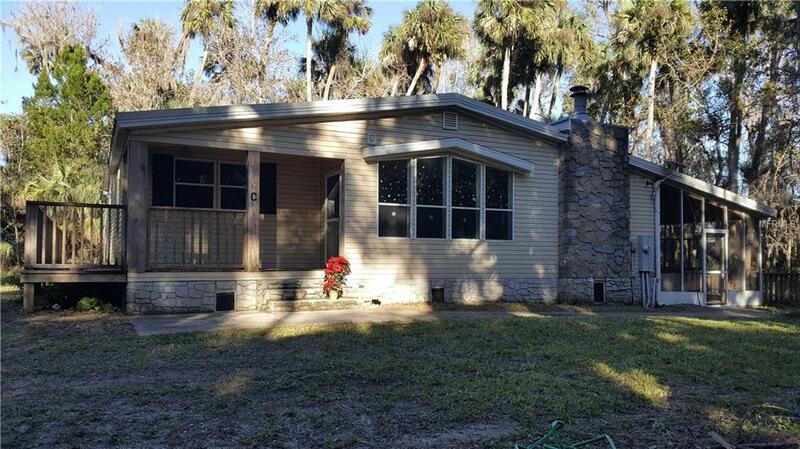 Listing provided courtesy of New Smyrna Beach Prop Mgmt And Sales.